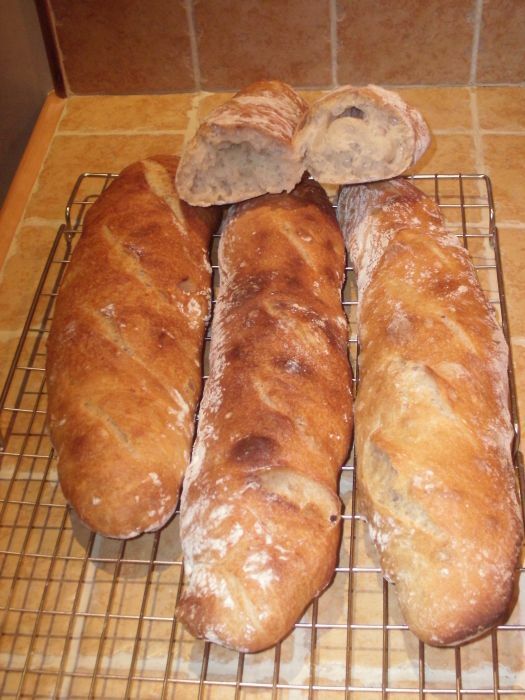 I’ve been keen to make ‘proper’ french baguettes for years now. At last I’ve found recipes and techniques that work. There’s still room for improvement as I’m learning as I go. All ‘high hydration’ means is that there’s relatively more water in the dough than a lower hydration dough: ‘wetter’ doesn’t sound so glamorous. More water means that the dough is stickier to handle, softer (closer to a batter), rises faster and has more holes. Hydration is expressed as a percentage weight of water to flour. So the bread in the last post on sourdough was about 55%: middling wetness. 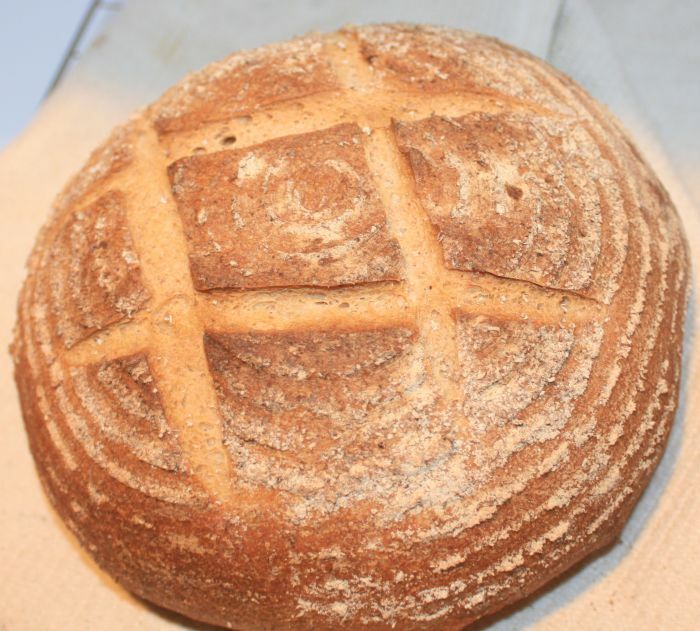 In this post I’ll show how I make sourdough bread at home. The recipe and technique is an amalgam of Hugh Fearnley Wittingstall (River Cottage Everyday) & Dan Lepard (The Handmade Loaf) plus some other stuff I’ve read online and my own experience. Stop press: 31st March 2011 I’ve posted an update with some lessons & observations since this was published. The post was prompted by a Twitter conversation with Ryan Lewis and Alys Fowler about making sourdough. Alys and I were encouraging Ryan to have a go at making it. I promised to do a ‘How To’ blog to show how simple it is to do. It’s what I do at the moment and I’m an enthusiastic amateur. There are about as many methods as there are bakers. I’d welcome feedback from anyone who bakes for a hobby or professionally. I like to learn new stuff and I’m sure the comments would help others who come here. The process of making the loaf takes just under 20 hours. This is essential for the loaf to develop its best flavour and texture. Don’t worry because you’re only doing a little bit of stuff every now and then and the timings are flexible.